What if Everyone in your church prayed the Rosary... Daily? My name is Daniel Oberreuter. Over the past 10 years my wife Leticia and I have traveled across the nation and abroad promoting the rosary. in 2018 We made Come Hold My Son - The Rosary because we wanted people of all ages to be able to pray the rosary. Download Come Hold My Son The Song + The Luminous Mysteries FREE!!! Want 1 shipped for yourself, pastor, or staff member? 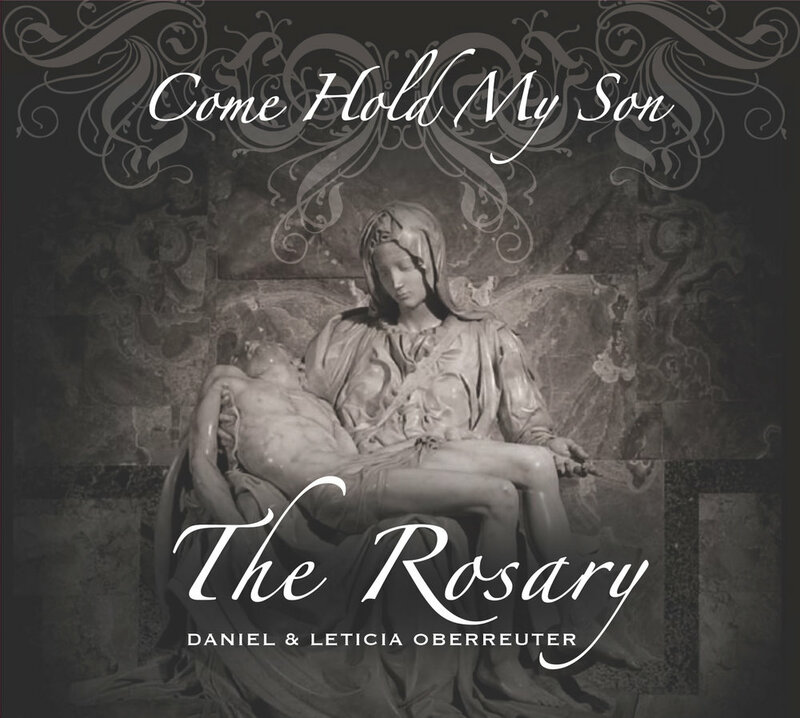 Imagine every parishioner receiving their very own copy of Come Hold My Son - The Rosary, putting it in their car, and praying the rosary as they drive home from Ash Wednesday or Easter mass. 2) Have a kind volunteer distribute CD's at the end of each Mass. 4) See lives changed through the power of Our Lady and the rosary. The rosary is a powerful weapon!!! “Thank you so much for The Rosary CD. It is such a beautiful CD and makes it very easy to say the rosary every day. Your song 'Come Hold My Son' brought me to tears..."
"'Come Hold My Son' moved me to tears. I'm blessed to have found some wonderful music that can deepen my faith." "Upon leaving the church, I decided to play your song (Come Hold My Son) ... I listened to it 3 times and could barely see the road as I drove as tears weld up in my eyes and streamed down my face. Once I got to work I remained in silence for nearly 3 more hours." All purchases will be processed as bulk orders of no less than 100. Purchases can be made either by private individuals or churches. After your purchase you will receive a confirmation email and receipt. Any Questions or concerns? Call support at 360-521-7961. Need more or a different amount? Just make multiple orders in your shopping cart of the amounts you want.